In NYC there’s no shortage of professionals who work hard putting in long hours at the office. Not to mention the additional hours at the gym, bar and commuting. If there is anything New Yorkers know how to do its working hard and playing harder. After all, we do live in the city that never sleeps. Regardless of whether your job is physically demanding or you are concerned about carpel tunnel syndrome from extensive computer use, massage is the perfect way to soothe your work-related ailments. By relaxing your body and easing your mind, Asian massage can put you in the right mindset for the coming weekend and refuel you for the work week ahead. Perhaps the most obvious benefit of massage is the release of physical tension. Back and leg massages can ease muscles that are sore from a week of strenuous physical labor, while neck, eye, and head rubs bring similar relief to those who spend their days staring at computer screens. If you have a job where you sit for extended periods of time, massages can help with any chronic pain as a result of sitting all day as well as fixing comprised posture and neck and back problems. Are grievances at work causing your blood pressure to spike? Fear not: Asian massage can gently bring your blood pressure back down. Studies have linked massage to drops in blood pressure, as well as stimulation of the vagus nerve, which regulates blood pressure. Long-term studies have shown that a consistent massage program can decrease diastolic and systolic blood pressure which is one of the many reasons to regularly schedule massages. These days there are not too many people who don’t suffer from a high level of stress on a daily basis. But there are ways to naturally and proactively deal with stress such as regular massages. The release of physical tensions is often accompanied by the release of mental tensions. Massage triggers your body’s relaxation response, effectively reversing the symptoms of stress. Your heart rate and breathing become more relaxed. In fact, massage is sometimes used as a treatment for anxiety and depression. Plus massage helps calm and ease the mind. At the end of a busy work week, it’s likely that the last thing you want to do is wait to relax. Massage therapy alleviates this problem; Asian massage provides an instant source of physical and mental stress relief thereby allowing you to start your weekend off on the right foot. Within minutes of starting your massage you will start to feel at ease as your body starts to relax. In addition, to relaxation through massage, we also offer table showers to further enhance your relaxation. Even New York minutes can stretch to hours at West Garden Spa, your premier Asian massage destination in Midtown Manhattan. You deserve a reward for all your hard work. 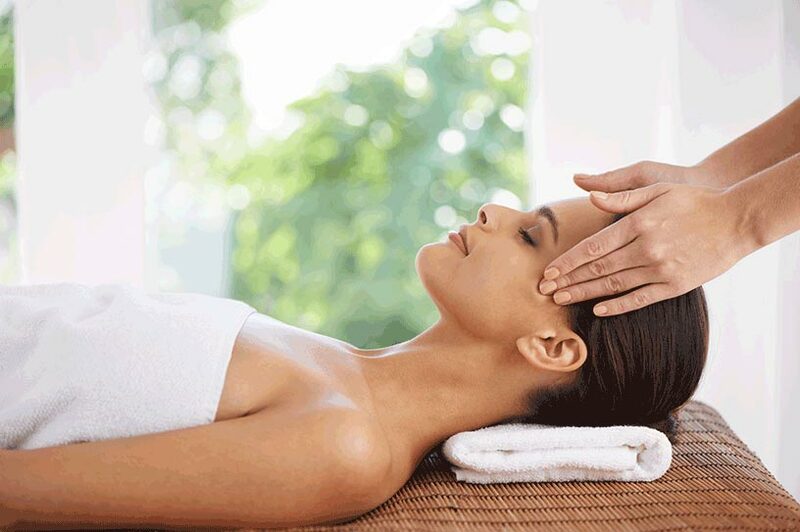 Call 212.244.7711 today or visit our website to schedule a relaxing massage any day of the week. Our massage parlor is conveniently located in midtown Manhattan only minutes away from Penn Station. We always make sure our clients leave happy!